Officially named ALH-77005, the Martian meteorite was found in the Allan Hills on Antarctica during the mission of the Japanese National Institute of Polar Research between 1977 and 1978. The new study "Mineralized biosignatures in ALH-77005 Shergottite—Clues to Martian Life?" published in De Gruyter's journal Open Astronomy, by authors Ildiko Gyollai, Márta Polgári and Szaniszló Bérczi proposes the presence of active bacteria on Mars. Their research also suggests that there may have been life on other planets. This new research could change the examination of meteorites in the future. In light of their discovery, the authors posit that solar system materials should be studied to establish whether there is evidence of microbial forms within space rocks—and an indication that there was once life on Mars. According to NASA, scientists are in agreement that there is no life on Mars. Nobody has reached any definitive conclusions like this yet and won't until Mars is thoroughly explored with the right equipment. While there appears to be no life on the surface, bacterial life deep under the surface with access to liquid water is a completely different story. 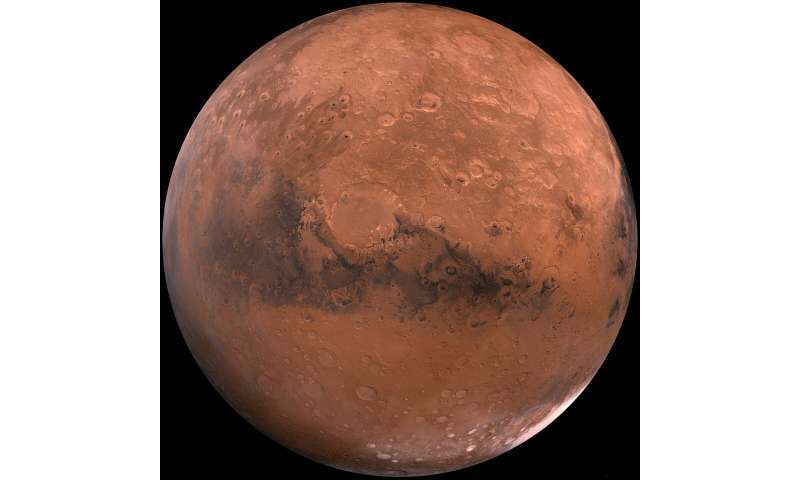 My personal guess is that it is more likely that subsurface bacteria exist on Mars than not. This article probably should have mentioned that this is not the first time hints of life were found in a Martian meteorite. Remember Allan Hills 84001? Seems they take a number of mostly Hungarian meteorites and abstract putative "biosignatures" such as strong negative delta13, never mind that their own data point to abiotic confusions in SNC meteorites et cetera. And then make the unsubstantiated jump to proclaim that data the result of "microbial mediation". As far as I know the general existence of confusions have made (prokaryote etched) pores in volcanic glass - who has no known geological confusion - the only unarguably accepted microscale trace fossil to date. These finds, however enticing, are likely not sufficient. Nobody has reached any definitive conclusions like this yet and won't until Mars is thoroughly explored with the right equipment. ... This article probably should have mentioned that this is not the first time hints of life were found in a Martian meteorite. Remember Allan Hills 84001?